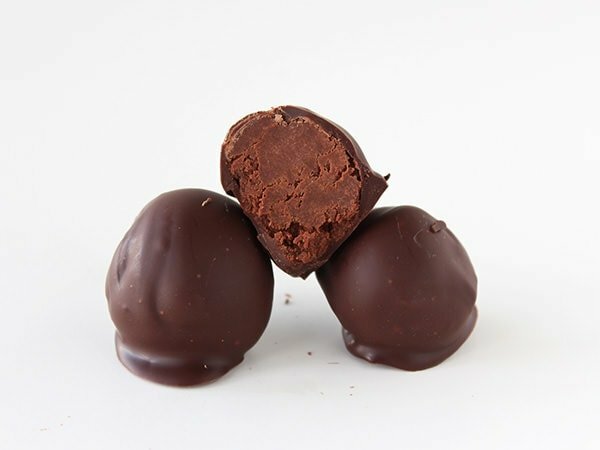 The Ultimate Chocolate Truffle Guide shows you exactly what techniques makes truffles soft, creamy, fudgy, or chewy so you can perfect your recipe! Candy and the winter holiday season go hand in hand and there’s no gift quite as sweet as homemade candy. For many home bakers, making candy seems like a daunting task best reserved for the professionals. With the sheer amount of recipes that exist and the special equipment that is often needed, it’s no surprise that most people resort to purchasing candy treats. 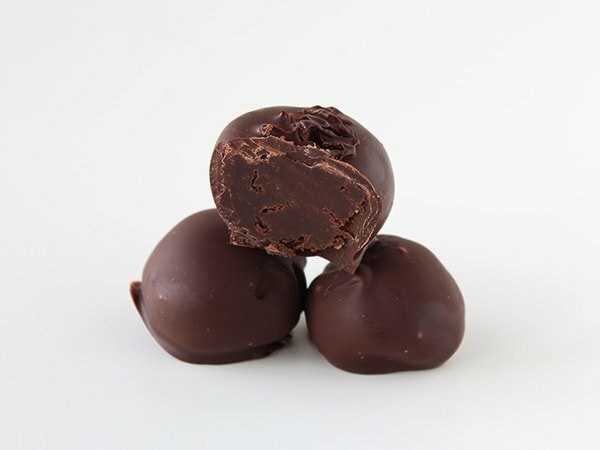 Today I’m breaking down recipes for homemade chocolate truffles to show you exactly which ingredients produce which results so you can embark on your own chocolate candy making adventures. 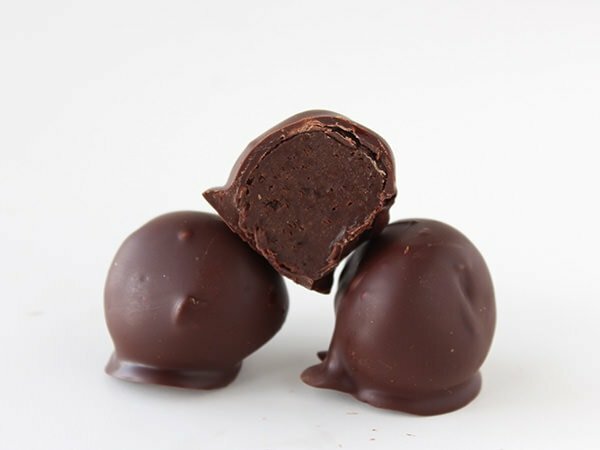 Recipes for truffles are often extremely simple and vary only by small ingredients changes. Truffles are actually surprisingly easy to make, they just require a bit of hands on time and can be a little messy. Unlike many of the other kitchen experiment guides I’ve written, the various batches of truffles in this guide are very different from each other. This is because there are only a few ingredients in the typical truffle recipe, so if you change one ingredient you often dramatically change the whole recipe. I based the recipes off a control recipe that relies on a standard ganache base. Despite dramatic ingredient changes, most of the truffles here look almost identical. I’ve included a comparison photo to demonstrate the small visual differences in the truffles but rely on written descriptions to illustrate the distinctions in tastes and textures. 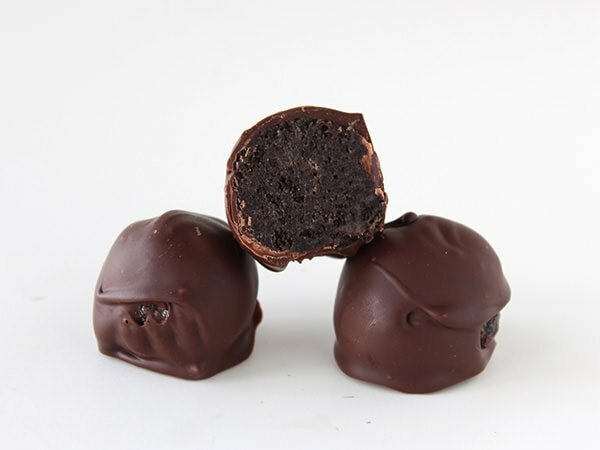 For each truffle recipe, I rolled the truffle mix into two-teaspoon sized balls and refrigerated until chilled. I then coated the balls in tempered chocolate. Find out how to temper chocolate here. If you want to make one of the truffle recipes here but don’t want to temper chocolate, coat the truffle balls in normal melted chocolate and refrigerate until ready to serve. You can even add a teaspoon of coconut oil to help make the chocolate harden. Place the chocolate and butter in a medium heat-proof bowl. In a small saucepan over medium-high heat, bring the cream to a boil. Pour the cream over the chocolate and butter. Let stand for 2 to 3 minutes before whisking until melted and smooth. Refrigerate, uncovered, for 1 hour, or until slightly firmed. Use a small 2-teaspoon spring-loaded scoop to form mounds of chocolate onto a parchment lined baking sheet. Refrigerate for 15 minutes. Roll the mounds into balls with the palms of your hands. Return the truffles to the baking sheet and chill for another 30 minutes, or until firm. Dip the balls in tempered chocolate. Let the chocolate set before serving. The truffles can be made ahead of time and stored in an airtight container in the fridge for up to 3 days. For this batch I took the control recipe and simply added one tablespoon of light corn syrup along with the cream. The truffle mix was actually a little easier to shape into balls and the resulting truffles were fudgier and chewier than the ultra smooth and rich control recipe. I actually preferred these corn syrup truffles to the control recipe. To experiment with condensed milk in truffles, I used eight ounces of semisweet chocolate and 1/2 cup sweetened condensed milk. No butter or cream like in the control recipe. I melted the milk and chocolate together in a small saucepan then chilled. These truffles were easier to shape than the control recipe and didn’t require as long of a chilling period. 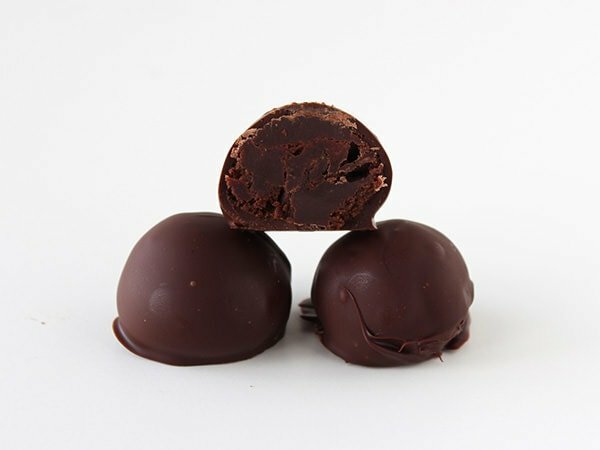 Taking a bite into these truffles was like taking a bite into chocolate-coated fudge. They were very sweet and much firmer than the control recipe with a slight chew. These were too sweet for me and were one of my least favorite batches. 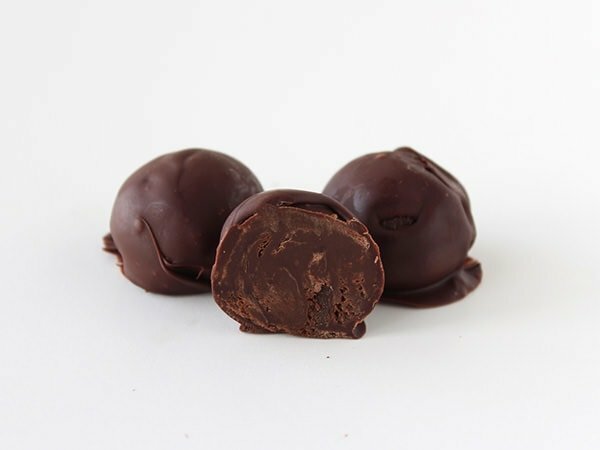 I think if I were to make sweetened condensed milk truffles again, it would have to be with bittersweet or even unsweetened chocolate. Like with the condensed milk batch, I replaced both the cream and butter in the control recipe with cream cheese. The only ingredients in these truffles were four ounces of room temperature cream cheese and eight ounces of semisweet chocolate. I beat the cream cheese with an electric mixer until smooth then gradually added the melted and cooled chocolate. I chilled until firm then shaped into balls. This truffle mix was actually too firm and was the most difficult to shape out of all the batches. The firm texture carried through to the mouth feel as these truffles were also the hardest to bite into. While I liked the slight tangy flavor the cream cheese added, I did not enjoy the texture as much. Some of the most popular truffle recipes I’ve seen floating around the Internet use ground Oreo cookies as their base so I knew I had to include an Oreo batch in this kitchen experiment. For this batch the only two ingredients I used were eighteen whole Oreo cookies and four ounces of room temperature cream cheese. In the bowl of a mini food processor, I pulsed the cookies until finely ground then added the cream cheese and pulsed until combined. I chilled the mixture until firm then shaped into balls. This batch was by far the easiest to make and work with. The finished truffles unsurprisingly had a completely different texture to all the other truffle batches. They were almost grainy, in a pleasant way, and overall more substantial in mouth feel than the others, qualities that I thoroughly enjoyed. These were actually my favorite, which surprised me a little, because they weren’t quite as decadently rich as some of the other batches. For this final experimental batch I completely changed the recipe ingredients from the control recipe. If you are at all familiar with Brazilian food, you’ve probably heard of the Brigadeiro, a chocolate truffle made from cocoa powder, butter, and condensed milk. Usually a Brigadeiro is coated with cocoa powder or sprinkles, but I decided to maintain the tempered chocolate coating to see how these compared to the other more traditional truffle recipes. I used three tablespoons unsalted butter, 1/3 cup unsweetened cocoa powder, and 1/2 cup sweetened condensed milk which I simply melted all together in a saucepan then chilled until firm. I rolled into balls, chilled again until firm, then coated in tempered chocolate. This recipe was easy to make and shape. Unlike the Sweetened Condensed Milk batch, these truffles used unsweetened cocoa powder so I didn’t find them overly sweet. Instead, they were super rich and fudgy yet soft. I quite enjoyed these. My article The Ultimate Truffle Guide was originally posted at Relish.com. Love these guides! I went through your cookie and dinner roll ones right before Thanksgiving and found them so helpful! Ooooooooooooooo, after reading through your cookie series, I’m looking forward to reading this! I love these ideas! I would like to know if you have a recipe that incorporates red pepper to give them a little zing. Thanks! You can add a 1/4 teaspoon cayenne pepper to the control recipe! When doing the oreo ones, you stated you used the whole cookie. I hope I am not asking the obvious question, but, did that include the cream centers? Yes, the whole Oreo including the filling! Hello!! Im brazilian, and I am a baker too! Wow you made brigadeiro! I have the most perfect recipe for brigadeiro, if you want I can send you. I’ve heard my brigadeiro is the best one! lol. I love the truffle recipes and would also love to have Nathalia recipe as well. Your Web site is amazing and thank you for shaking. I love all your ideas and tips and I’m looking for the best way to dip the balls in the chocolate. I have used a toothpick but the scraping off part doesn’t seem to work well as I either get too much chocolate on the bottom or scrape the chocolate off. 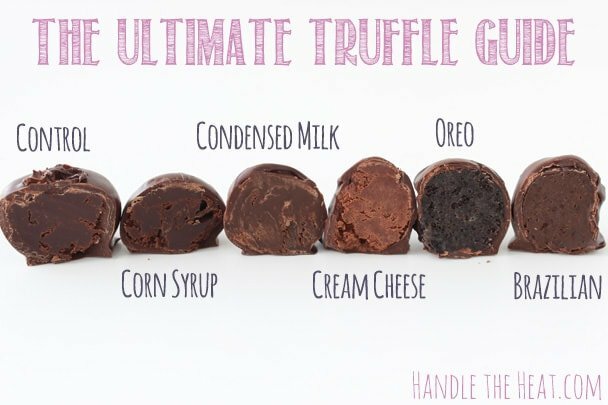 How do you dip your truffles? It’s nice to see some different takes on truffles. I learned to make mine from my mother-in-law in France. It uses Creme Fraiche & liqueur (or Rum) with the cocoa to make the ganache. It melts in your mouth with a velvety creamy texture. Can you recommend one of yours that might be similar in texture?